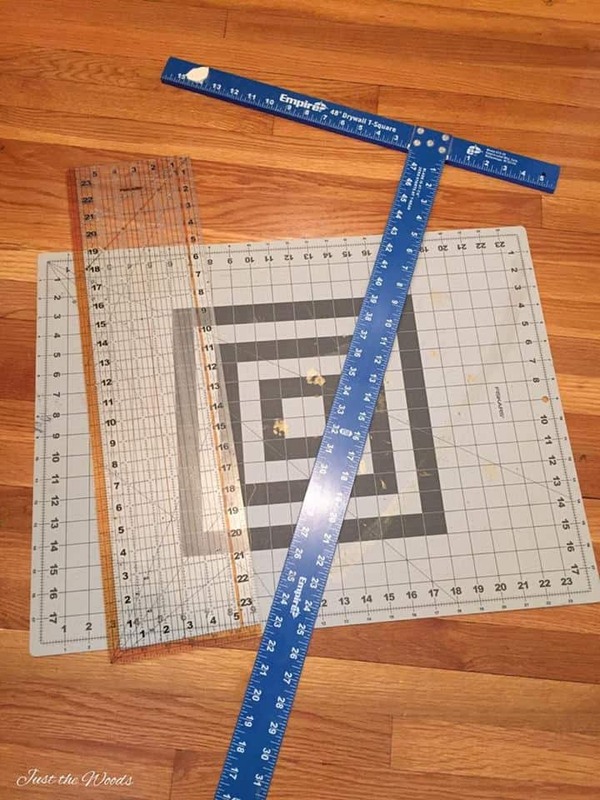 Decoupage Supplies. 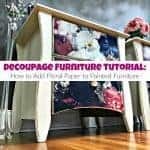 When you want to know where to find decoupage supplies and what you need for decoupage projects. 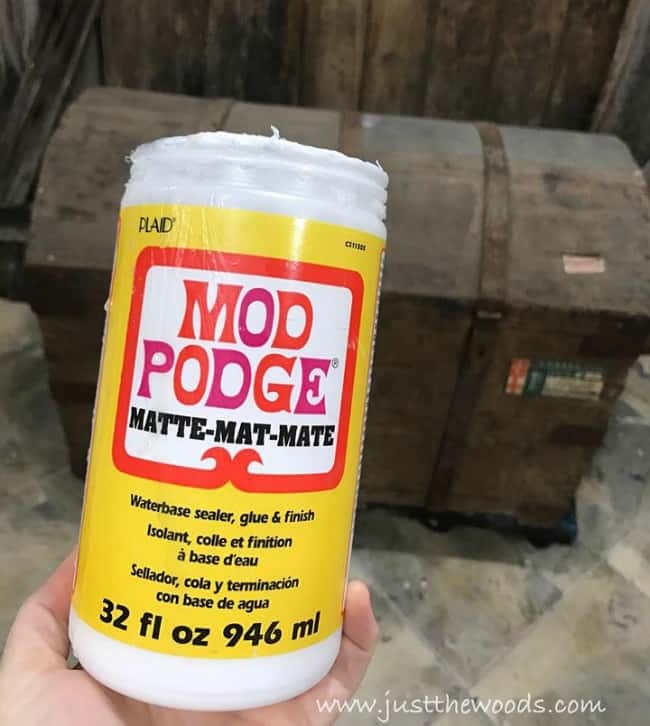 Decoupage materials found online. 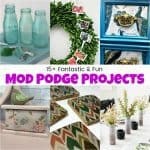 Whether you are a furniture painter or a crafter if you love decoupage then you may wonder where to find decoupage supplies. 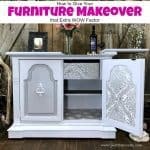 Wouldn’t it make life easier if there were a decoupage materials list for all decoupage supplies found online? 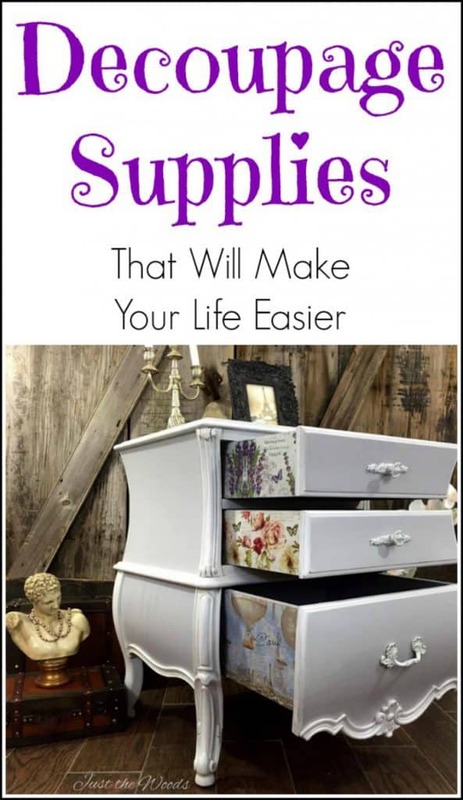 Or better yet, a list of must-have decoupage supplies? 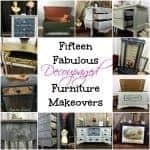 Since I have quite a few decoupage painted furniture projects under my belt I’m giving you my must-have list. 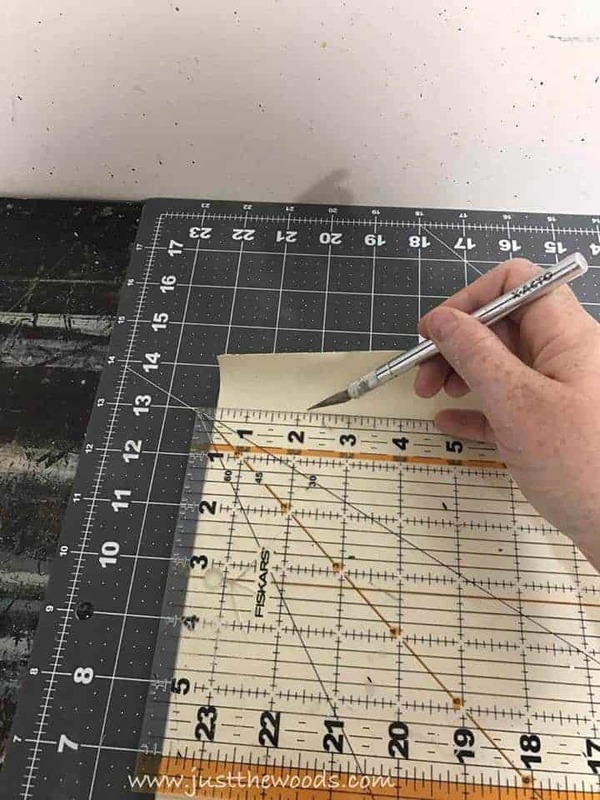 For starters, when it comes to your decoupage tools and materials you will want to find you decoupage prints first. 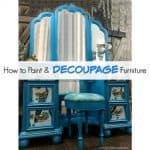 There is such a wide variety of types of decoupage materials to use from napkins, tissue, wallpaper, fabric, etc. 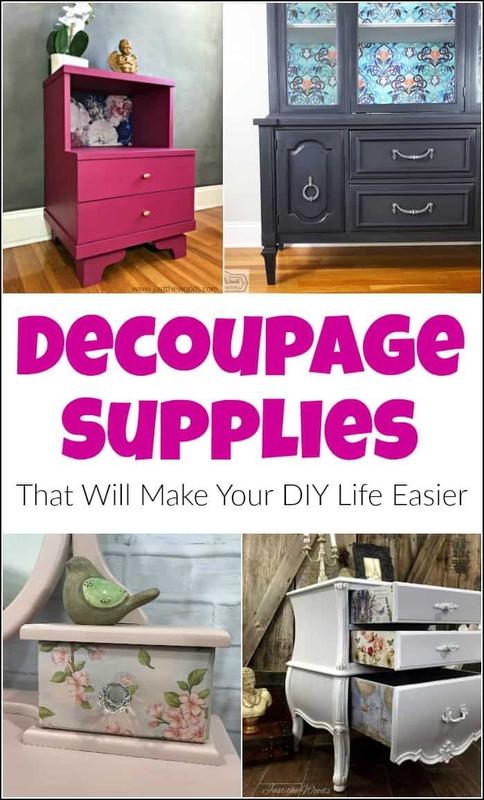 Luckily you can order most of your supplies for decoupage right here online. One more product that I enjoy working with is wallpaper. Specifically textured wallpaper. 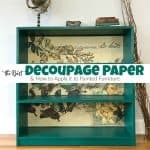 Using wallpaper for decoupage can add a feature that is both unique but also adds depth. 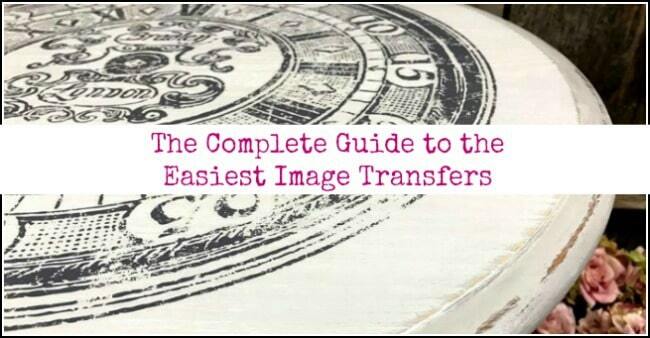 To find where to buy textured wallpaper for decoupage click (HERE). A few things just to make your decoupage project go easier are baby wipes for easy cleanup. When you get too much glue or drips, I find baby wipes the easiest to use for clean up. Personally, I use baby wipes a lot! Another handy item to add to your decoupage materials list is plastic wrap. The clear plastic wrap works well for rubbing your tissue/napkin/paper etc smooth without tearing.